Staas sells and installs standard Tank Type Water Heaters and Tankless Systems. lasts longer and works better. We simply do it right the first time with only long-lasting, quality brands. We’ll show you how to maintain it properly too. 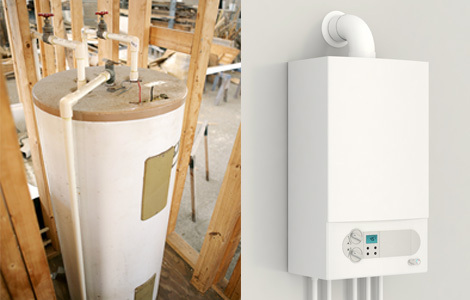 Tankless water heaters never run out of hot water. We’ll give you all the options for your home or business. Staas also provides tank draining and flushing to help your existing water heater last longer. Call us for an appointment to inspect your water heater. We’ll drain and flush as needed. 24 hours ... 7 days a week ... we are here for you!